Amber colour with mahogany highlights. Fine nose, marked by notes of vanilla, cinnamon and candied orange. Lots of roundness in the mouth with floral, woody and spicy notes leading to a long and pleasing finish of grilled almonds and vanilla. 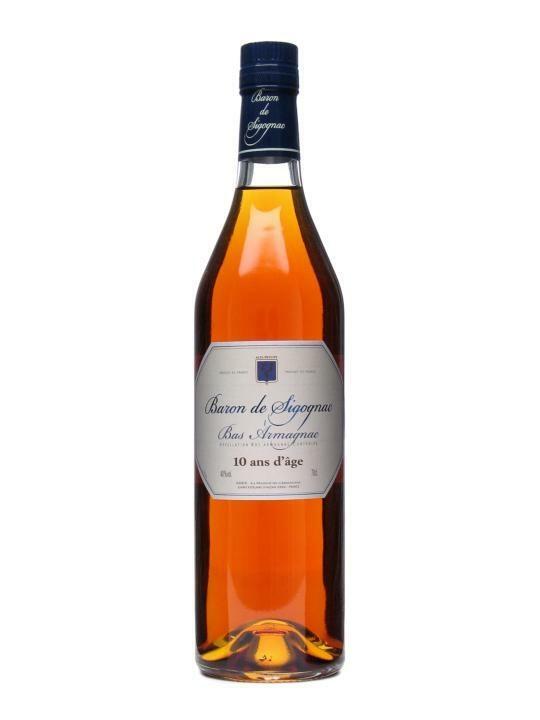 The 10 year old Baron de Sigognac delivers an exceptional and rare taste. Mild yet fiery at the same time like a gently toasted Arabica coffee. The aromas embody a wide range evoking floral followed by fruity notes yet overall dominated by the sensation of a perfect balance between fruit and spices. Cigar lovers will enjoy it with a classic Havana; without doubt, a cigar with average chewiness and a light spicy smoke adding roasted touches striking a common chord of balance and strength.